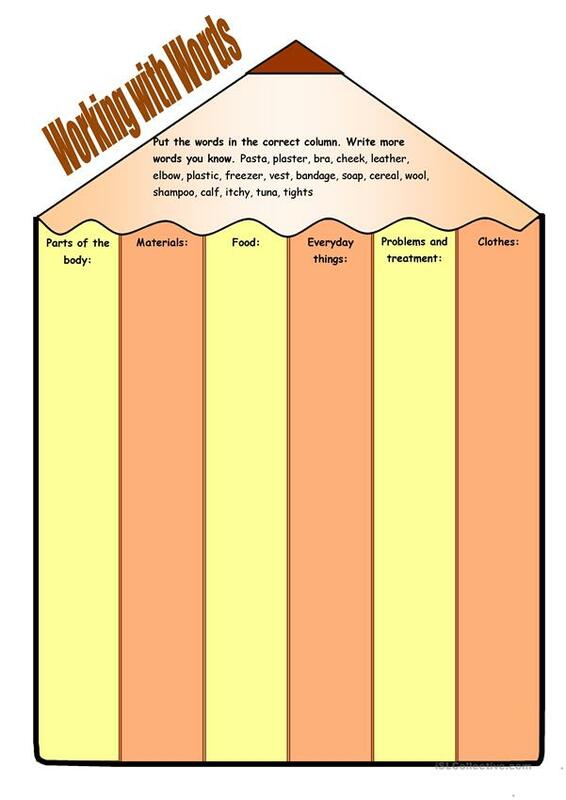 It's a vocabulary activity, which aims to consolidate and develop ss' vocabulary focusing on topics (clothes, materials, food, health problems and treatment, parts of the body and everyday things. The above printable, downloadable handout is meant for elementary school students at Elementary (A1) and Pre-intermediate (A2) level. It is valuable for consolidating Nouns in English, and is excellent for enhancing your students' Writing skills.